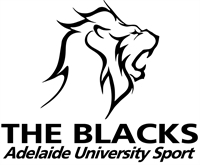 Welcome to The Blacks - The home of the Adelaide University Cricket Club. For all current, past or potential future Blacks please see the information below which will give you the details of what it means to be a Black, what you can expect, and what is expected of you. Everybody is eligible to play for The Blacks. We area University club that is open to all cricketers -student or otherwise. Players join us from a variety of sources; some from overseas, country areas or inter-state students from the University of Adelaide. We also recruit players locally from Adelaide schools or clubs who are looking for new opportunities to play at a Premier Cricket club to progress their career, or those who want to join a young, sociable club based in the CBD area. What we offer all players is high-quality coaching and top-class training facilities, and a great place to continue their cricket career. 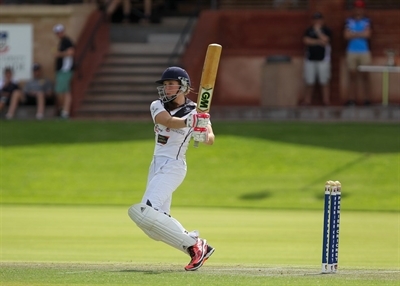 We have had many aspiring cricketers join the club and go on to achieve higher honours – most recently Jake Weatherald, Joe Mennie and Nick Winter who have all had success with the South Australian Redbacks after starting out with the Blacks. There are other examples of players overlooked at their grade clubs that have joined the Blacks and improved their game out of all recognition. 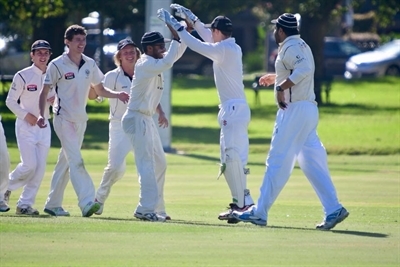 Whilst all players love the experience of playing cricket for The Blacks and playing at University Oval, the AUCC expects an appropriate degree of commitment from its players. Our senior sides are expected to train hard, to enjoy doing so and to seek to improve their cricket. Training takes place at the northern end of Park 12 (University Oval) on the turf practice wickets and also at the newly refurbished hard-wickets at the Southern end. All players are expected to train in a club training top and to bring their own training equipment, including spikes and flat footwear. AUCC First and Second grade teams and the Women’s 2nd Grade play at beautiful University Oval #1, generally considered the finest Premier Cricket ground in Adelaide. The outfield is in magnificent condition and is a pleasure to play on. Men’s Third and Fourth Grade play on University Oval #2, and our teams in ATCA competitions play on University Park 10. Our Women’s teams use University Oval #1 or #2. We also have playing ovals and training facilities at the University of Adelaide West Beach Facilities which comprise four brand new ovals and turf nets. We use these facilities during pre-season and periodically throughout the season when University Oval Park 10 or Park 12 are unavailable for use. If you would like to get involved in any of these areas, please contact the club directly. 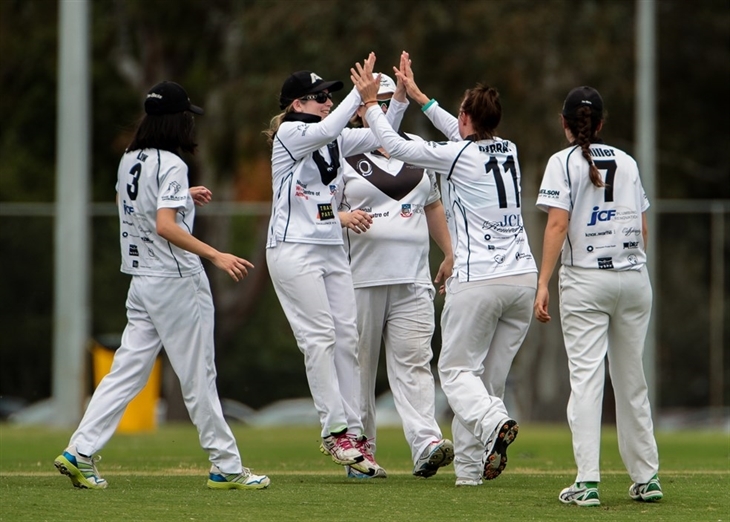 We currently run nine men’s teams throughout the season, with our first to fourth grade teams playing in SACA Premier Cricket competitions in 2-day, one-day and T20 competitions. 2017-18 saw The Blacks reach the Grand Finals in both limited over competitions, and qualify for the first grade semi finals for the first time in many years. Our ATCA B3 team qualified for their grand final and won promotion to the B2 division for 2018-19. We will also have three other teams in ATCA competitions playing in C2 division in 2-day competition, and two teams in Limited Overs Competition in LO1 and LO4 divisions. 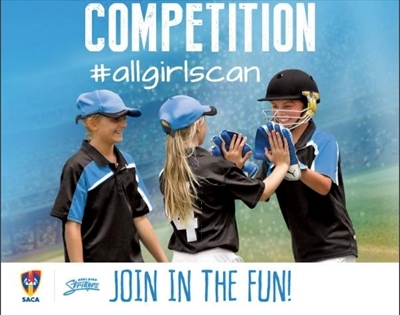 We have teams for all levels of players, from established A Grade cricketers, to aspiring young cricketers across 2nd, 3rd & 4th Grade looking to improve their game and play at A Grade or higher, while we have teams in ATCA competitions competing on a weekly basis throughout the season. Whatever your level you can find a team at The Blacks to suit your aspirations. All players are expected to purchase Blacks Official match & training gear. - Blacks Cap - baseball, baggy or sun hats can be worn. - Match Shirt (Black) 2nd Grade squad only.